1. Free Shuttle Bus allows easy access to ski slopes as well as dining and shopping!! 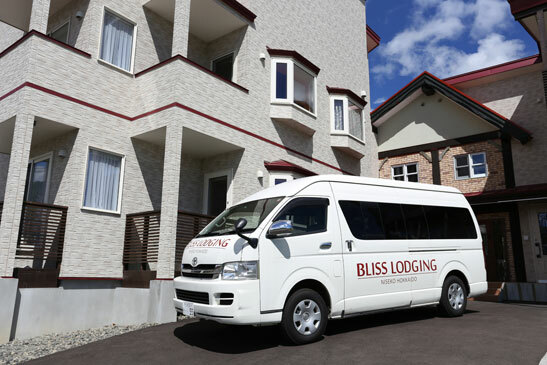 A free shuttle bus service is operated by 2 of the popular Hirafu area resorts, and BLISS LODGING is located on the route. By boarding the free shuttle bus which stops right in front of Bliss Lodging every 15 minutes, or taking advantage of Bliss Lodging's private shuttle service (see 5. Private Shuttle Bus Service for details), guests can reach the gondola lifts of Grand Hirafu Resort, the largest and most popular in Niseko, in just 5 minutes. No need to lug around your heavy gear or wait for the crowded morning buses. Niseko's fabulous ski slopes are just minutes away. The shuttle bus operates until 20:30 (16:30 depending on season), so can be used for after-ski activities like shopping and dining in the Hirafu area as well. A free shuttle bus service to Hanazono Resort, popular among families and beginners, can be accessed from here as well. 2. Make your snow holiday to be the one and only!! Your stay at Bliss Lodging is not just about skiing and snowboarding in the best slopes in the world. We want it to be a chance for you to get to know Japan, fall in love with it, and become a big fan of the country, and of course, Bliss Lodging. 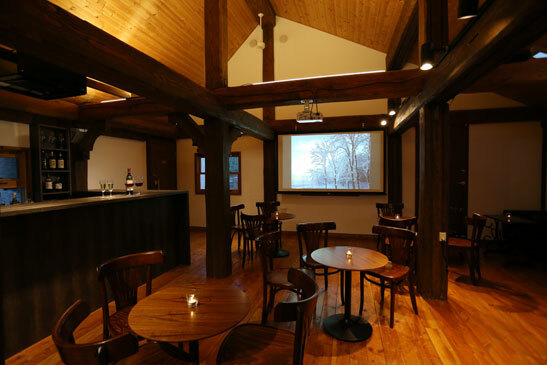 At Bliss Lodging, we hold various events several times a week. 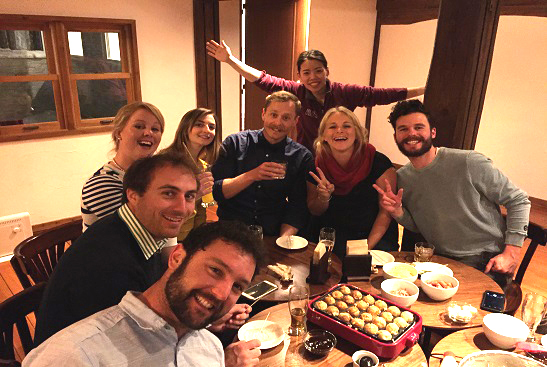 These include opportunities to cook simple everyday Japanese dishes like Ramen noodles or Takoyaki, or experience traditional Japanese events like Setsubun and Hina-matsuri. We celebrate Christmas and hold count down parties for New Years as well. Join our unique events and make your stay a wonderful, unforgettable experience. You will discover something new and interesting every time you return. * Event content will vary. * Events are limited to 12 participants. Reservations are accepted from 1 day in advance. From 15:00 to 17:00, you can enjoy free coffee, tea and light meals at the bar lounge featuring a relaxing natural wooden interior. A great place to relax after a day out on the slopes or before dinner. * The lounge opens only on the day when the event is not held. * Alcoholic drinks are available for purchase. 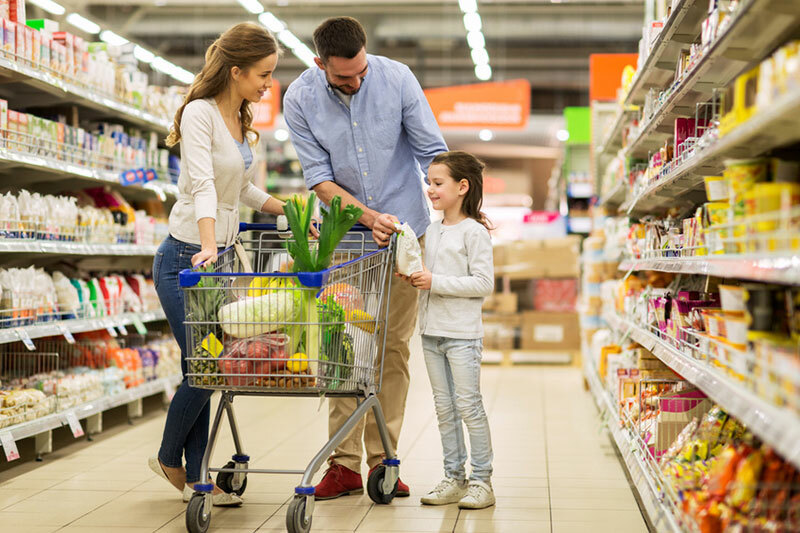 For guests using the pick-up service from JR Kutchan Station or Hirafu Welcome Center on your arrival date, we can drop by to purchase groceries before we reach Bliss. No need to worry about shopping for next day's breakfast or meals even if you arrive late. An English speaker will accompany you. No worries if this is your first visit to Japan! * For pick-ups at Kutchan Station before 20:00, we will stop by a super market. For pick-ups at the Welcome Center, and Kutchan Station after 20:00, we will stop by a convenience store. * Please notify your place and time of arrival 14 days in advance. 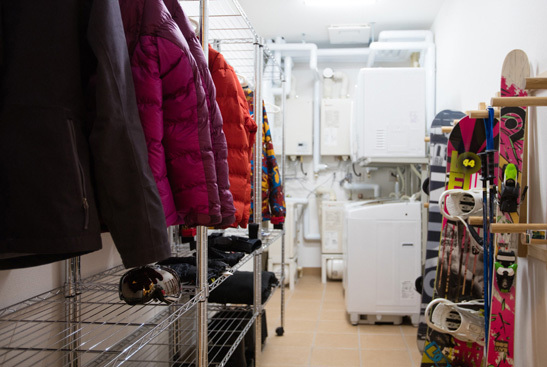 Apart from the free shuttle bus operated by the resorts in the area, we offer an exclusive drop off service for Bliss Lodging guests at 8:20 and 8:40 in the morning to Grand Hirafu. The service should be convenient during the busy hours when the area shuttle bus can become crowded. * Seats are limited so please reserve 1 day in advance. * Departure time may be changed depending on checkout schedules of other guests. 6. Fully equipped for skiers and boarders!! To make your stay comfortable, we provide the following services free of charge. · Dryer / Washing machine (washing liquid is complimentary). 7. Start your day with a free hot beverage!! We offer free coffee and tea at the Reception desk. Take along a hot drink on those cold mornings! For your convenience, we have equipped all rooms with electric kettles. Please enjoy your drinks in your room when Reception is closed. * Reception is open from 9:00 to 18:00.